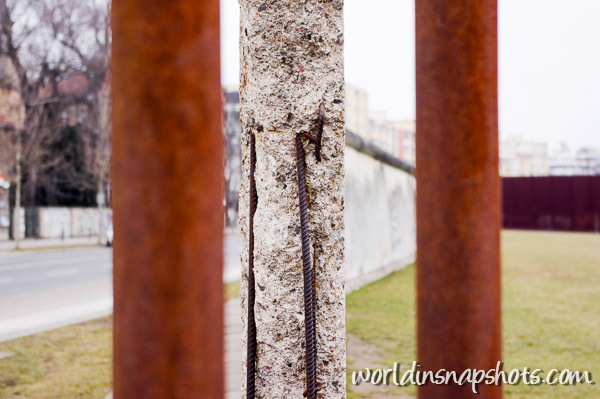 Visiting remnants of Berlin Wall was on my list of things to do in Berlin. I visited some sites 15 years ago, but I wanted re-visit it and to see other places I haven’t been yet. In this map I marked remains of Berlin Wall in the city and memorials. Please contact me if I missed something. You should plan full day if you want to visit all sites, museums and memorials on the route. 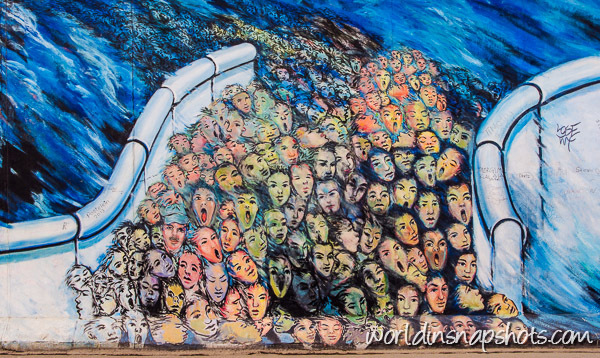 Start from the East Side, where East Side Gallery is located. Take a train or S-Bahn to Ostbahnhof station and you’ll find the wall a 100 meters from the station exit. It is longest continuous section of the wall stretches about 1 kilometer (0.6 mile) long. Some wall paintings are the same I saw during my first visit, but some of them are new, so you can find something new even if you visited this part of the wall before. At the end of this section cross Oberbaum Bridge and after short walk you’ll reach Schlesisches Tor U-Bahn station. Take a train to Kochstraße station (change from U1 to U6 line at Hallesches station). 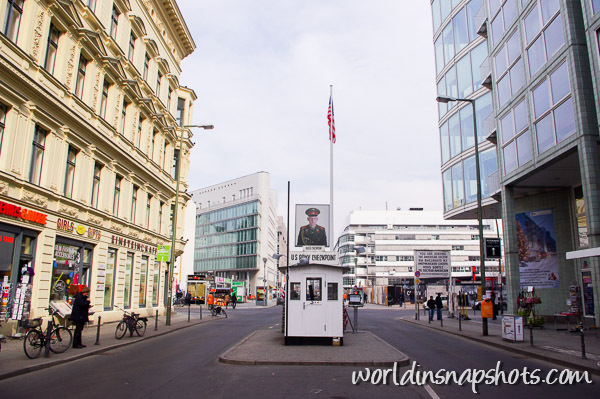 This is where you’ll find Checkpoint Charlie, Wall Museum –The Museum Haus am Checkpoint Charlie (€12.50) and until end of 2013 you can visit Asisi Panorama (€10), which shows daily life in the Berlin divided by wall. Take a short walk (~300 meters / 1000 ft) West on Zimmerstraße and you’ll reach about 200 meters of wall still standing. On other side of wall Topography of Terror museum is located. During Second World War Secret State Police Office was located on these grounds and you can visit different exhibitions with history of this place. Admission is free. Take another S1 or S2 train at Potsdamer Platz to Nordbahnhof station. You can find some photos and history of the station, which was called “ghost station” during Wall period as none of trains were stopping there and was passed by Western trains traveling from one end of West Berlin to the other. Outside the station there is Berlin Wall Memorial with names who were killed during attempts to escape from East into West side of Berlin. Please share this post if you’ll find these directions helpful.